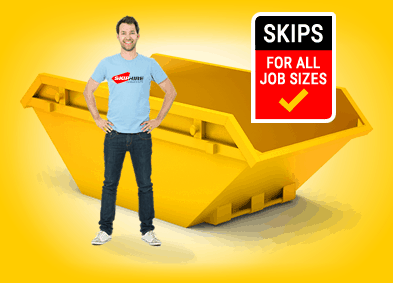 What size of skip is suited for your needs? Need a Skip? Know What Size? The biggest problem skip hirers could face is one based on the failure to ask a simple question: So what size should the skip be? Customers would do well to first make an educated estimate about the amount of waste material they need disposed of. The size of the skip will then obviously depend on this estimate. This article provides a clear guide about the skip size most suited to your needs. This is the smallest as well as the cheapest skip in the business. The mini skip refers to a 2 yard skip, which is meant to dispose of a small quantity of waste (usually builder, household or garden waste). For a good point of reference, these will hold up to 20 to 30 bin bags, or the equivalent of a sofa. 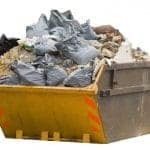 Customers who need to dispose of a small amount of waste would find the mini skip a cost-effective option to make use of. This makes it excellent for the smallest of domestic disposal jobs. Mini skips are also pretty easy to drive to their destined location due to their small size. This also makes them one of the safer skips to use on public areas like roads and highways. But as the introduction said, make sure your estimate of the amount of waste material is an educated one! 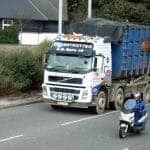 If you have more waste material than can fit in a mini skip, it would be cheaper to opt for the next smallest option, the 4 yard skip, instead of hiring another mini skip. The small skip is next in size. It refers to the 4 yarder, and can hold around 30 to 40 bin bags, or the equivalent of 4 sofas. The small skip’s suitability is moulded towards small house clearance or do-it-yourself projects. It embodies the best of two worlds, in that while it can contain more items than the less popular mini skip, it occupies less room than do larger builders skip. You can, therefore, park it on the street with more ease. Small skips are slightly more expensive than mini skips, but clearly a lot cheaper than builders skips. However, as it was in the case of the mini skip, it will cost you a whole lot more to hire two 4 yarders than the skip that is next in line in terms of size. This is one of the more popular skips to hire, with the other most popular choice being the 8 yarder builders skip. The 6 yarder builder skip is large enough to be suited to a large number of medium sized disposal projects. Domestic customers tend to use it to dispose of waste from home renovation projects, or waste from clearing out gardens or lofts. One 6 yarder can fit around 50 to 60 bin bags, or the equivalent of 3 sofas. This is the largest skip that is allowed on public areas (which partly explains the popularity of the 6 and 8 yarders). It is usually hired domestically in the aftermath of some major renovation work, like after tearing down a large portion of the house. However, it sees its fair share of industrial and commercial usage as well. There isn’t a world of difference between the 6 and 8 yarders in terms of size. The latter can hold 60 to 80 bin bags, or the equivalent of 4 sofas. Thus, it can be difficult to decide whether to go for a 6 or 8 yarder, even with an educated guesstimate. It is usually a good idea to play it safe and go with the 8 yarder if you are in doubt. The 8 yarder is only slightly more expensive than the 6 yarder, but not as expensive as hiring even a 6 and 2 yarder together. Of course, you may find that the difference in size cannot be accommodated in terms of space, in which case you would have to go with the 6 yarder. These skips are very rarely used domestically. They cannot be used in public areas, which bars them almost automatically from such. However, a domestic project in a large enough area of private land might commission the services of this skip. This gigantic skip is designed to hold around 100 to 120 bin bags, or the equivalent of six sofas. The large volume makes it a favourite of commercial projects, as they can fit very large amounts of metal, plastic and packaging waste. However, the weight of the material that can fit inside the skip is limited by the capacity of the lorry to lift the skip. Therefore, some materials are deemed entirely too heavy to be stored in these, like concrete or rubble. As just noted under the 12 yarder heading, the capacity of a skip is not determined simply by how much material can be filled inside it, but also by the ability of the lorry to lift said skip. Some materials can become entirely too heavy for a skip to manage. In this case, it may be advisable to hire more than one skip, or to look for alternative disposal methods. Building projects produce waste in the form of extremely heavy rubble, bricks and mortar. Similarly, garden clearance projects will create waste in the form of stones, soil and wood. Large enough quantities of these could be too heavy for skips of a particular size to handle.